The Battle of Ostrołęka was fought on 16 February 1807 between a First French Empire force under General of Division Anne Jean Marie René Savary and a Russian force under Lieutenant General Ivan Essen. The French defeated the Russians and forced them to retreat to the east to Wyoki Mazowiecki. Weather conditions caused both sides to go into winter quarters immediately after the battle, which occurred during the War of the Fourth Coalition, part of the Napoleonic Wars. Ostrołęka is located in the northeast part of modern Poland, but in 1807 it belonged to the Kingdom of Prussia. See Battle of Mohrungen and Battle of Eylau articles. Savary was "in command of the 5th corps" "on the extreme French right" so as "to guard the approaches to Warsaw by the Narew and Bug, and to cover the right rear of the movement northwards". After the French were "driven out of Ostrów" "on the 3rd February", "Savary received orders to abandon Brok and retire upon Ostrolenka, so as to strengthen his communication with the Emperor's army." "Essen was ordered by Bennigsen to drive back Savary, who, at the same time, had made up his mind to assume the offensive". Essen, with "25,000 men, advanced to Ostrolenka on the 15th, along the two banks of the Narew". Savary "decided to hold Ostrolenka on the defensive" "on the 15th February", "leaving 3 brigades" on the "low hills outside Ostrolenka" flanked by "batteries on the opposite bank", whilst he "assumed the offensive" "on the morning of the 16th" "against the Russian force coming down the right bank"
Early on 16 February General of Division Honoré Théodore Maxime Gazan arrived at the vanguard with part of his division. At 9 AM he "met the enemy on the road to Nowogród" and attacked and routed them, but at the very same moment the Russians "attacked Ostrołęka by the left bank". General of Brigade François Frédéric Campana, with a brigade from Gazan's division, and General of Brigade François Amable Ruffin, with a brigade from General of Division Nicolas Charles Oudinot's division, defended the town. 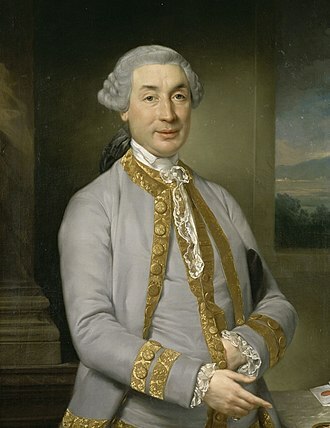 Savary sent General of Division Honoré Charles Reille, his chief of staff. The Russian infantry, in many columns, wished to take the city but the French let them advance halfway up the streets before charging them, leaving the "streets covered with the dead". The Russians "abandoned the town" and took up positions "behind the sand hills that covered it". Oudinot and General of Division Louis Gabriel Suchet and their divisions "advanced" and by midday, the "heads of their columns arrived at Ostrołęka". "Oudinot commanded the left in two lines", whilst Suchet commanded the centre and Reille, "commanding a brigade" of Gazan's division, "formed the right". He "covered himself with all his artillery and marched against the enemy". 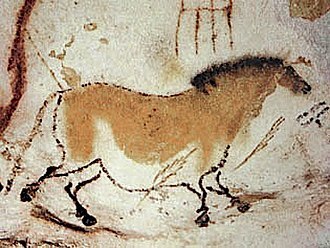 "Oudinot put himself at the head" of a successful cavalry charge, cutting the cossacks in the enemy's rearguard to pieces. The exchange of fire was "brisk", with the Russians giving "way on all sides and was followed fighting for three leagues". Eylau Campaign Map. While the main armies battled at Mohrungen and Eylau in East Prussia, Savary and Essen faced each other at Ostrołęka. The next day the Russians were "pursued several leagues". Two Russian generals and several other Russian officers were killed and three generals wounded. The Russians left 1,200 wounded and 1,300 dead on the battlefield, with 7 cannon and two flags captured by the French. Only 60 French troops were killed, including Campana whose death was much grieved by Napoleon, with 400 to 500 wounded including Colonel Duhamel of the 21st Light Infantry Regiment and artillery Colonel Henri Marie Lenoury. "Savary's action at Ostrolenka...had been useful in disclosing the fact the Russians were in no great strength on this side, and that Napoleon had little to fear from any attempt to strike his communications with Warsaw". Oudinot was made a Count of the Empire and given a 'donation' of million francs. Savary received the Légion d'honneur. Napoleon "ordered the 5th Corps to go into winter quarters" "along the right banks of the Omulew and Narew down to Sierock". "holding Ostrolenka with a detachment and repairing the bride there." The thaw was "dreadful" and the season allowed for no more campaigning – the enemy had left their winter quarters first, and "repented it". 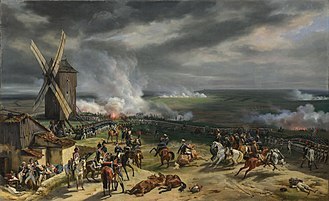 The battle of Ostrołęka is mentioned at the galerie des batailles at Versailles and on the Arc de Triomphe and is a battle honour of several French regiments. 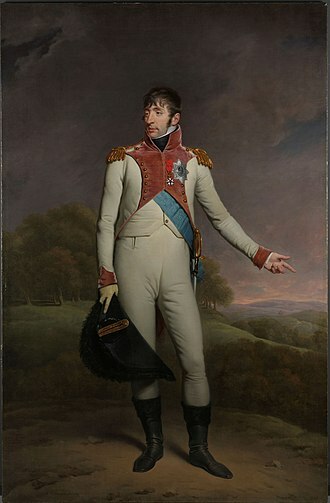 Louis-Gabriel Suchet, Duke of Albufera, was a Marshal of France and one of Napoleons most brilliant generals. Suchet was born to a manufacturer in Lyon. He originally intended to follow his fathers business but, serving as a volunteer in the cavalry of the National Guard at Lyon, in 1793, he was serving as a battalion chief when he captured the British general Charles OHara at Toulon. During the 1796 Italian campaign, he was wounded at Cerea on 11 October. In October 1797, he was promoted to command of a half-brigade and his services in the Tyrol under Joubert that year and in Switzerland under Brune over the next were recognized by his promotion to the rank of brigadier general. He took no part in the Egyptian campaign but was made Brunes chief of staff in August and restored the efficiency, in July 1799, he was promoted to division general and made Jouberts chief of staff in Italy. 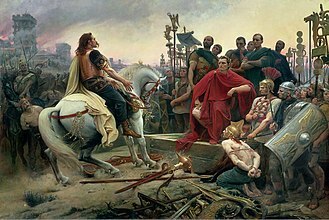 In 1800, he was named second-in-command to Masséna and he took a prominent part in the rest of the Italian campaign up to the armistice of Treviso. In the campaigns of 1805 and 1806, he enhanced his reputation at the Battles of Austerlitz, Jena, Pułtusk. He obtained the title of count on 19 March 1808, ordered to Spain, he took part in the Siege of Saragossa, after which he was named commander of the army of Aragon and governor of that region. Within two years, he brought the area into complete submission by wise and adroit administration no less than by his brilliant valor, beaten by the Spanish at Alcañiz, he sprung back and soundly defeated the army of Blake y Joyes at María on 14 June 1809. 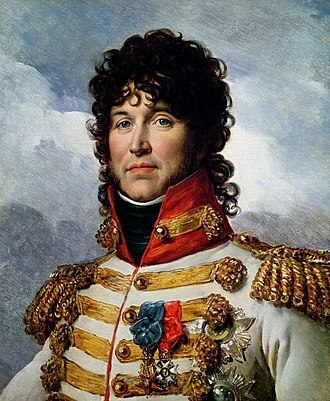 On 22 April 1810, he defeated ODonnell at Lleida, after the siege of Tarragona, he was named marshal of France on 8 July 1811. In 1812, he captured Valencia, for which he was rewarded with the dukedom of Albufera nearby, when the tide turned against France, Suchet defended his conquests one by one until compelled to withdraw from Spain, after which he took part in Soults defensive campaign of 1814. 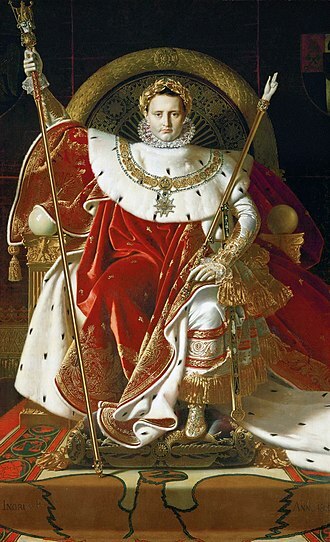 The restored Bourbon king Louis XVIII made him a peer of France on 4 June with a seat in the upper house, during Napoleons brief restoration, Suchet was given command of an army on the Alpine frontier. The Siege of Danzig was the French encirclement and capture of Danzig during the War of the Fourth Coalition. On 19 March 1807, around 27,000 French troops under Marshall Lefebvre besieged around 14,400 Prussian troops under Marshall Kalckreuth garrisoning the city of Danzig, Danzig held an important strategic position. It was a potential dropping off point for allied troops, Danzig was difficult to attack, being only accessible from the west, while all other directions were covered either by the Vistula or wetlands. Furthermore, it had resources of great interest to the Grande Armée in planning a substantial campaign in the east. In a letter dated 18 February 1807, Napoleon noted to Marshal Lefebvre, Your glory is linked to the taking of Danzig, the task of taking the city was in mid-February given to Marshal Lefebvre and his 10th corps. The marshal was aided by generals Chasseloup-Laubat, who commanded the engineering works, and Baston de Lariboisière, together they were the two best specialists in their respective fields in the French army. 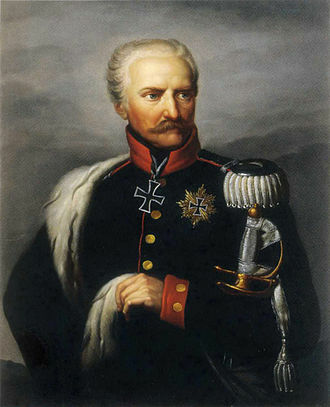 General Drouet was the chief of staff, inside Danzig stood 14,400 men under the Prussian commander General Count Friedrich Adolf von Kalkreuth. On 2 April the ground had thawed enough to be able to begin digging siege trenches, a trench was begun on 8 April and completed on 15 April. With the fall of the Silesian fortress of Schweidnitz to Vandamme on 11 April, on the 23 March the French batteries opened fire. Owing to the absence of the Swedish vessel, Kamensky was delayed in his operations and this allowed Lefebvre time to reinforce his positions, and the outnumbered Russian troops were beaten back with a loss of 1,500 men killed and wounded. A further attempt by the British 18-gun praam Dauntless to bring a badly needed 150 barrels of gunpowder via the river failed, Dauntless ran aground near a battery, which bombarded her until grenadier guards from Paris were able to capture her. After these failed attempts to relieve the city, the siege, on 21 May Marshal Mortiers corps arrived, making it possible to storm the Hagelsberg. It was the driving force behind the unification of Germany in 1871 and was the leading state of the German Empire until its dissolution in 1918. Although it took its name from the region called Prussia, it was based in the Margraviate of Brandenburg, the kings of Prussia were from the House of Hohenzollern. Prussia was a power from the time it became a kingdom, through its predecessor, Brandenburg-Prussia. Prussia continued its rise to power under the guidance of Frederick II, more known as Frederick the Great. After the might of Prussia was revealed it was considered as a power among the German states. Throughout the next hundred years Prussia went on to win many battles and it was because of its power that Prussia continuously tried to unify all the German states under its rule. Attempts at creation of a federation remained unsuccessful and the German Confederation collapsed in 1866 when war ensued between its two most powerful states and Austria. The North German Confederation which lasted from 1867–1871, created a union between the Prussian-aligned states while Austria and most of Southern Germany remained independent. The North German Confederation was seen as more of an alliance of military strength in the aftermath of the Austro-Prussian War, the German Empire lasted from 1871–1918 with the successful unification of all the German states under Prussian hegemony. This was due to the defeat of Napoleon III in the Franco-Prussian War of 1870–71, in 1871, Germany unified into a single country, minus Austria and Switzerland, with Prussia the dominant power. Prussia is considered the predecessor of the unified German Reich. The Kingdom left a significant cultural legacy, today notably promoted by the Prussian Cultural Heritage Foundation, in 1415 a Hohenzollern Burgrave came from the south to the March of Brandenburg and took control of the area as elector. In 1417 the Hohenzollern was made an elector of the Holy Roman Empire, after the Polish wars, the newly established Baltic towns of the German states including Prussia, suffered many economic setbacks. Many of the Prussian towns could not even afford to attend political meetings outside of Prussia, the towns were poverty stricken, with even the largest town, having to borrow money from elsewhere to pay for trade. 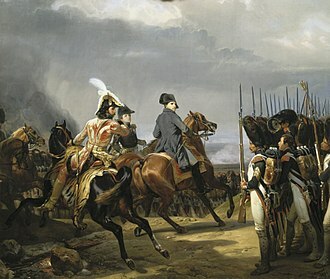 The attackers, part of Marshal Louis-Nicolas Davouts III Corps, succeeded in crossing the Wkra at its mouth and pressed eastward to the village of Czarnowo. After an all-night struggle, the Russian commander withdrew his troops to the east, Czarnowo is located on the north bank of the Narew River 33 kilometres north-northwest of Warsaw, Poland. Several other actions occurred during the same week, on the 23rd, Marshal Jean-Baptiste Bessières defeated a probe by Prussian troops at Bieżuń. On 24 December, an action occurred at Kołoząb and Sochocin where Marshal Pierre Augereaus VII Corps attempted to cross the Wkra, the French managed to secure a foothold on the east bank, forcing Major General Michael Andreas Barclay de Tollys Russian defenders to retreat. On Christmas Day, part of Marshal Michel Neys VI Corps drove the Prussians from Soldau, the Russians, were full of fight and two sharp battles occurred on 26 December. 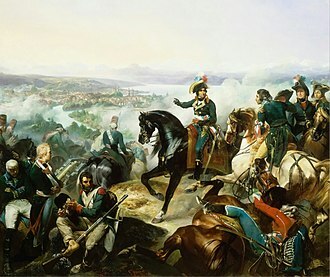 At the Battle of Jena-Auerstedt on 14 October 1806, Napoleon administered a beating to the principal Prussian armies. On a single day, the French captured 25,000 Prussian soldiers,200 guns, in subsequent operations the French inflicted crippling defeats on their adversaries at Erfurt, Prenzlau, Stettin, Lübeck and Hamelin. In early November, Davout sent General of Division Marc Antoine de Beaumonts 2,500 dragoons to scout east of the Oder River, Napoleon ordered his brother General of Division Jérôme Bonaparte to protect his southern flank by operating against Glogau in Prussian-held Silesia. Wishing to deny Warsaw to the approaching Russian army, Napoleon decided to secure a position on the east bank of the Vistula River before winter forced an stop to the campaigning season. In December, the Prussians were able to field only 6,000, plus the garrisons of Danzig and Graudenz. Field Marshal Mikhail Kamensky led the Russian army in Poland, which numbered about 90,000 men in two wings led by Generals Levin August, Count von Bennigsen and Friedrich Wilhelm von Buxhoeveden. By now, Kamensky was showing signs of his mental and physical unfitness to command. Warsaw is the capital and largest city of Poland. It stands on the Vistula River in east-central Poland, roughly 260 kilometres from the Baltic Sea and 300 kilometres from the Carpathian Mountains. Its population is estimated at 1.750 million residents within a metropolitan area of 3.101 million residents. The city limits cover 516.9 square kilometres, while the area covers 6,100.43 square kilometres. Once described as Paris of the East, Warsaw was believed to be one of the most beautiful cities in the world until World War II. On 9 November 1939, the city was awarded Polands highest military decoration for heroism, Warsaw is one of Europe’s most dynamic metropolitan cities. In 2012 the Economist Intelligence Unit ranked Warsaw as the 32nd most liveable city in the world, in 2017 the city came 4th in the “Business-friendly” category and 8th in the “Human capital and life style”. It was ranked as one of the most liveable cities in Central, Warsaw is considered an Alpha– global city, a major international tourist destination and a significant cultural and economic hub. The city is a significant centre of research and development, BPO, ITO, the Warsaw Stock Exchange is the largest and most important in Central and Eastern Europe. Frontex, the European Union agency for external security, has its headquarters in Warsaw. Together with Frankfurt and Paris, Warsaw is one of the cities with the highest number of skyscrapers in the European Union, the city is the seat of the Polish Academy of Sciences, Warsaw National Philharmonic Orchestra and the University of Warsaw. The historic city-centre of Warsaw with its picturesque Old Town in 1980 was listed as a UNESCO World Heritage Site, buildings represent examples of nearly every European architectural style and historical period. Warsaw provides many examples of architecture from the gothic, baroque and modern periods, the city is positioning itself as Europes chic cultural capital with thriving art and club scenes and renowned restaurants. Folk etymology attributes the city name to a fisherman, according to legend, Sawa was a mermaid living in the Vistula River with whom Wars fell in love. Cossacks are a group of predominantly East Slavic-speaking people who became known as members of democratic, self-governing, semi-military communities, predominantly located in Ukraine and in Russia. The origins of the first Cossacks are disputed, though the 1710 Constitution of Pylyp Orlyk claimed Khazar origin, the Zaporizhian Sich were a vassal people of Poland–Lithuania during feudal times. Under increasing pressure from the Polish–Lithuanian Commonwealth, in the century the Sich declared an independent Cossack Hetmanate. Afterwards, the Treaty of Pereyaslav brought most of the Ukrainian Cossack state under Russian rule, the Sich with its lands became an autonomous region under the Russian-Polish protectorate. The Don Cossack Host, which had established by the 16th century. Together they began a systematic conquest and colonisation of lands in order to secure the borders on the Volga, the whole of Siberia, and the Yaik, Cossack communities had developed along the latter two rivers well before the arrival of the Don Cossacks. By the 18th century, Cossack hosts in the Russian Empire occupied effective buffer zones on its borders, the expansionist ambitions of the Empire relied on ensuring the loyalty of Cossacks, which caused tension given their traditional exercise of freedom, democratic self-rule, and independence. By the end of the 18th century, Cossack nations had transformed into a special military estate. The government provided only firearms and supplies for them, Cossack service was considered the most rigorous one. In the late 19th and early 20th centuries, the Tsarist regime used Cossacks extensively to perform police service and they served as border guards on national and internal ethnic borders. During the Russian Civil War and Kuban Cossacks were the first nations to open war against the Bolsheviks. By 1918, Cossacks declared the independence of their nations and formed the independent states, the Ukrainian State, the Don Republic. The Cossack troops formed the core of the anti-Bolshevik White Army. With the victory of the Red Army, the Cossack lands were subjected to Decossackization, after the dissolution of the Soviet Union, the Cossacks made a systematic return to Russia. Officers of the élite Prussian Gardes du Corps, wishing to provoke war, ostentatiously sharpen their swords on the steps of the French embassy in Berlin in the autumn of 1805. 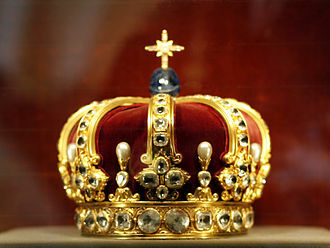 Peter the Great officially renamed the Tsardom of Russia as the Russian Empire in 1721 and became its first emperor. He instituted sweeping reforms and oversaw the transformation of Russia into a major European power. 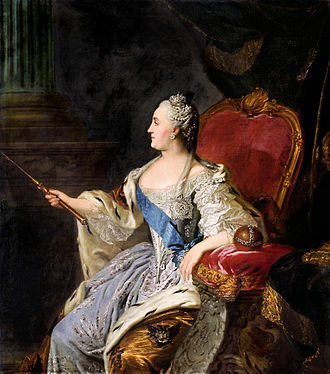 Empress Catherine the Great, who reigned from 1762 to 1796, continued the empire's expansion and modernization. Considering herself an enlightened absolutist, she played a key role in the Russian Enlightenment. The Russian army defended the line of the Wkra River. Cossack Mamay--the ideal image of Cossack in Ukrainian folklore. Ottoman Turks in battle against the Cossacks, 1592. 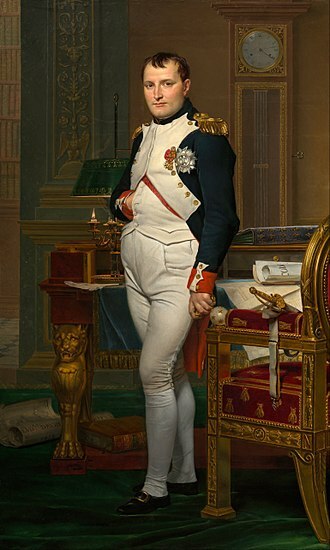 Napoleon's father, Italian nobleman Carlo Buonaparte, was Corsica's representative to the court of Louis XVI. Napoleon Bonaparte, aged 23, lieutenant-colonel of a battalion of Corsican Republican volunteers. Portrait by Henri Félix Emmanuel Philippoteaux. View of Grzybowski Square in the central district of Warsaw. The city is located on the mostly flat Masovian Plain, but the city centre is at a higher elevation than the suburbs. Hotel Bristol is a unique example of Warsaw's architectural heritage. 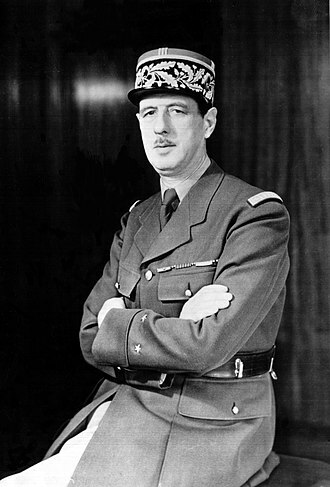 Marshal Jean Bernadotte led the center column. The Battle of Jena-Auerstedt shattered the Prussian armies, by Richard Knötel. Blücher stepped into the command void. Spandau Fortress fell on 25 October. Marshal Joachim Murat, the most famous of many daring and charismatic French cavalry commanders of the era, leads a charge during the battle. Battle of Heilsberg. Etching by unknown artist. Reenactment of the entry of Napoleon to Gdańsk after the siege. Fighting occurred in the Halle marketplace. Battle of Waren-Nossentin, 1 November 1806, showing forests and lakes.